KAMPALA – Deputy Chief Justice Alfonse Owiny-Dollo has said the number of judges should equal the number of Members of Parliament (MPs) if the country is to solve the problem of case backlog. Speaking at the official opening of the criminal session at Jinja High Court on Monday, Justice Dollo said the High Court and Court of Appeal are grappling with a case backlog yet the number of districts is increasing. “Government is creating many districts and MPs have now increased to 426 but the number of Judges has remained low yet the population increases every year and unresolved cases remain high,’’ he said. “We currently have only 12 Justices of the Court of Appeal who also work in the Constitutional Court although the parliamentary resolution permits 15 and 82 Judges of Court of Appeal and High Court respectively. This is a very small number considering that some go on leave because they can’t work from January to December, while others had criminal sessions and are writing judgements,” he said. “Malaysia has a population of 32 million people with 150 judges while Uganda with 40 million only has 50 Judges of the High Court,” he added. 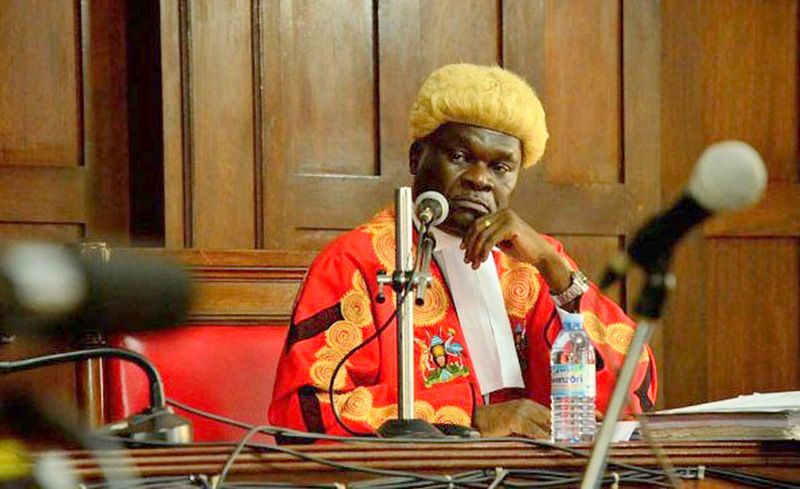 According to Justice Owiny-Dollo, cases stretching from as far as 2013, 2014 and 2015 are still being heard, while some cases from 2016, 2017, 2018 and 2019 are yet to be heard. “If the justices are increased to at least 20, I would give you the assurance that we would have no case backlog in the Court of Appeal from January 1 to December 31. “It is my wish to have circuits in different districts, but even the Justices in Kampala are not enough. Judges are overloaded with cases while some fail to get time for private engagements like relatives’ weddings,’’ he said. His statement followed an appeal from some advocates who demanded to have Court of Appeal in different districts instead of only being in Kampala. Mr Abed Nasser Mudiobole, an Advocate, said it is unfair for the Court of Appeal to only sit in Kampala. “Court of Appeal should also be taken outside Kampala to handle Civil Suits, not only Criminal as it was with the Age Limit petition which was taken to Mbale,’’ he said. The case backlog committee report shows there are more than 30,000 cases in the courts of law that are not concluded, while others take more than three years to get concluded.